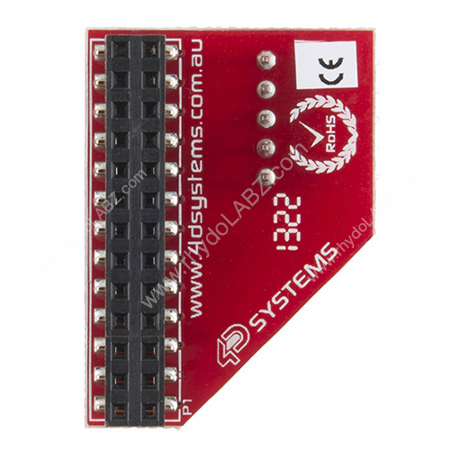 Description: The Raspberry Pi Display Adapter is a simple adaptor board designed to provide a serial interface in a convienent form-factor, enabling the Raspberry Pi to connect to a majority of the 4D System display modules with a single 5 pin connection. 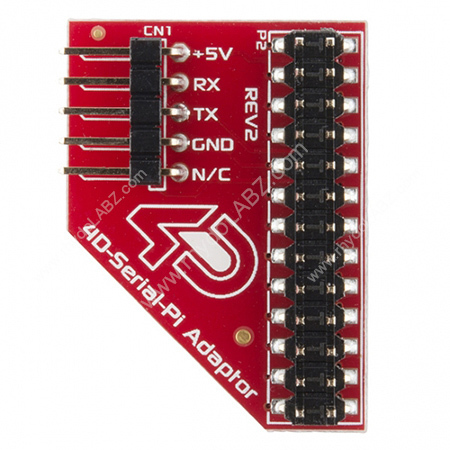 The 4D Serial Pi Adapter features a pass through header design, enabling existing Raspberry Pi products to connect to the Raspberry Pi, as if this adapter was not installed. Communication to the 4D Systems Display Modules is performed via the Raspberry Pi’s serial port (RX and TX), and is provided to the user in a simple 5-pin interface, where a 5 way cable can be attached between the adapter and the Display Module. Power for the display is supplied from the Raspberry Pi’s 5V bus. No external power is required for the Display Module as all power is supplied from the Raspberry Pi, via the Adapter.